John Chambers and Bob Bhamra have been blurring the line between curation and creation for twelve years as Data 70, releasing three separate volumes of interstellar library music. Collecting those three beautifully packaged vinyl 7-inch releases, Space Loops: The Complete Sessions runs to fifty tracks, each a minute or so in length and entirely self-contained. Lovingly crafted vignettes of electro-retro-futurism, they whirr, crackle and blip in all the right places, one minute insistent and nagging, the next flighty and expansive. Admirably, none of the tracks feels unfinished, and unlike the contents of many music archives they sit perfectly well without any visual accompaniment. The DIY ethic is always tangible – these pieces feel almost like wordless snippets of homespun advice, albeit advice dispensed across galaxies. At times they have a folksy, almost fusty feel to them, which only adds to their charm. 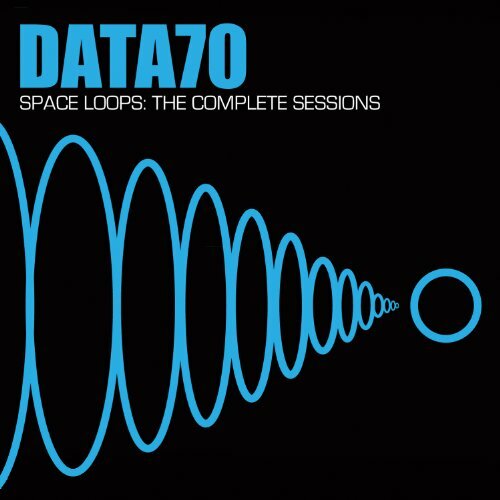 Data 70 are named after a typeface designed in 1970 to look like something from the future and appropriated by science fiction authors and computer game designers ever since. While there is definitely a sci-fi element to Space Loops (track titles include Ancient To The Future, Golden Age Of Space Travel and Fifth Dimension) it’s less of the Arthur C. Clarke variety and more like Borges’s infinite library – a satisfying cyclical puzzle.